The holy shrine of Lord Shiva, Kedarnath lies amid the snow-covered mountains in Uttarakhand. The sacred temple worships one of the holy 12 Jyotirlingas in India. 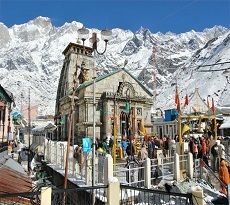 Kedarnath tour packages are among the most sought pilgrimages in India. Situated at an altitude of 3584 meters amidst the Garhwal Himalayas, Kedarnath Dham in the state of Uttarakhand commands immense reverence as a pilgrim destination. Embark on this spiritual journey with our outstanding Kedarnath Yatra packages. 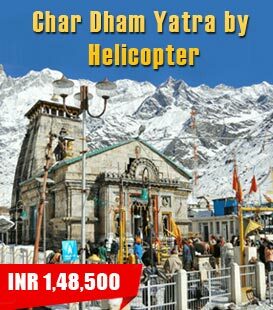 In addition to that, you can also choose the Do Dham Yatra, Teen Dham Yatra and Chardham Yatra packages of which Kedarnath is a part. Including an arduous trek, the sacred pilgrimage starts every year in May and lasts till October. Kedarnath Temple will be opened on 09 May 2019 on the eve of Akshaya Tritiya. 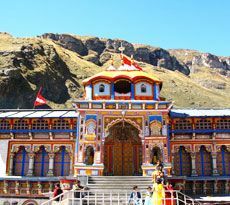 The doors of the Kedarnath temple close on Bhai Dooj, 29 Oct 2019. Come winter and the deities are moved to Ukhimath, where they are worshipped for the duration after which they return to this shrine. 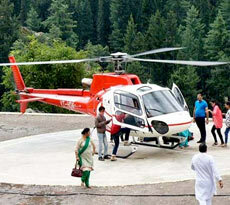 To make it easier, we offer packages for Kedarnath Yatra by helicopter. These packages cater to the needs of the travelers with some time restrictions. Also, the well-planned packages allow the senior citizens to travel with ease. 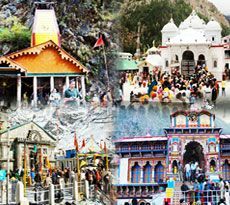 For the devotees, who wish to make the most out of their Yatra, we also have packages for Kedarnath Yatra by road. These enable you to explore the attractions at your own pace and till your heart’s content. Bask-in the divine bliss and enjoy a spiritually-awakening sojourn. 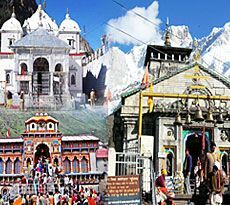 We at India Pilgrim Tours bestow you a wide range of Kedarnath Yatra itineraries to make your spiritual journey convenient and time-saving. 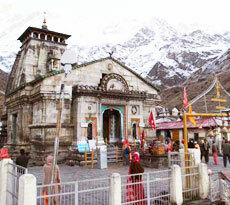 Pilgrims can do online booking for Kedarnath tour packages as per their budget and schedule. Below is the list of the Kedarnath Yatra packages. 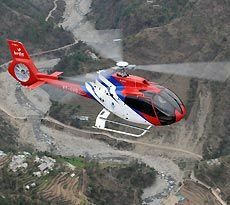 You can choose any package that suits you best for hassle-free pilgrimage to the Kedarnath Temple. The route to Kedarnath temple is 16 km by road. Starting from Gaurikund, the Kedarnath Yatra route is newly constructed and maintained by NIM (Nehru Institute of Mountaineering) team members. 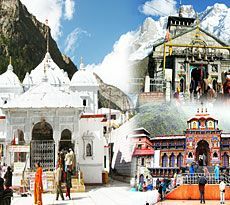 Exclusively-crafted Kedarnath tour packages solves all the queries of how to reach Kedarnath and lets devotees be enjoy their spiritual sojourn. 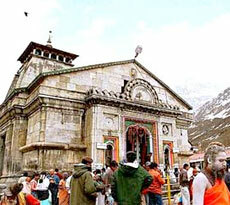 Kedarnath Dham is an important part of Uttarakhand’s Char Dham Circuit. Gaurikund is the nearest motorable town, after which one has to proceed by road that can be accessed only by foot. 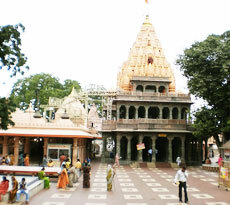 Gaurikund has bus services and cabs from Delhi and other places of the Char Dham Circuit. 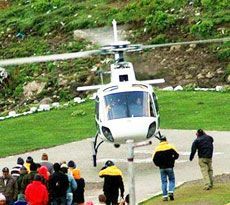 Kedarnath Yatra by Helicopter is a time-saving and hassle free journey especially for pilgrims who are not fit to undertake the trek. 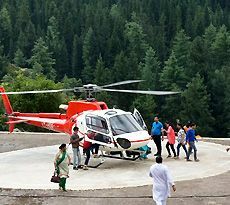 Kedarnath is connected by helicopter services, which operates from various places in Uttarakhand. 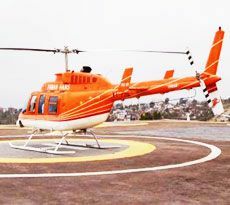 Helicopter services are available from Dehradun (Sahastradhara Helipad), Agustmuni, Phata, etc. The nearest railway stations to Kedarnath are at Haridwar (241 km) and Dehradun (115 km). After de boarding the train proceed by road to the divine pilgrmae site. 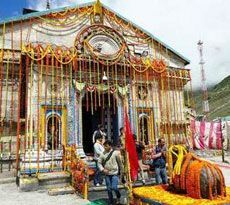 The best time to visit Kedarnath temple is from May to October. Doors of the temple open on Akshaya Tritiya (usually falls in end of April or early May) and are closed soon after Kartik Purnima (late October or early November) for duration of about 6 months. 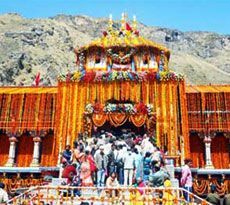 As Kedarnath temple lies in the lap of mountains of Uttarakhand, monsoon is best avoided as rains cause landslides and other problems for the yatra.